Lenovo K6 Enjoy Edition is now official. Lenovo Z6 Pro is surfacing in a lot of reports and is expected to be unveiled soon in its home market China. 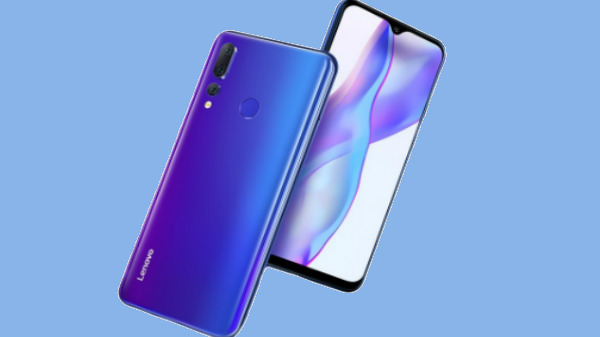 Now, the company has quietly taken the wraps off a new smartphone dubbed Lenovo K6 Enjoy Edition. It comes with a 3D gradient back and is available in Blue and Black color options. This smartphone has been launched in China for 1398 yuan (approx. Rs. 14,000) and is up for sale as well. As of now, there is no word regarding the global availability and pricing of this smartphone. Lenovo K6 Enjoy Edition is a mid-range smartphone. It adorns a 6.22-inch HD+ IPS display with 2.5D curved glass on top. The screen has a resolution of 1520 x 720 pixels and an aspect ratio of 19:9. The screen has a waterdrop notch housing the selfie camera. Under its hood, the smartphone makes use of an octa-core MediaTek Helio P22 (MT6762) SoC. The processor works in conjunction with a 650MHz IMG PowerVR GE8320 GPU and 4GB RAM. There are two storage configurations - one with 64GB and the other with 128GB. There is a microSD card slot supporting up to 256GB of expandable storage space. On the optics front, this Lenovo smartphone comes with a triple camera setup. It comprises a 12MP primary sensor with LED flash, PDAF and f/2.0 aperture, a 5MP secondary depth sensor and an 8MP telephoto lens. The waterdrop notch houses an 8MP selfie camera. The rear of this smartphone houses a fingerprint sensor as well. Connectivity wise, it is packed with Wi-Fi, Bluetooth 5, GPS, a USB Type-C port and dual 4G VoLTE. The lights of the Lenovo K6 Enjoy Edition are kept on by a moderate 3300mAh battery. This smartphone weighs in around 161 grams and measures 156.4x75x7.99 mm in terms of dimensions.